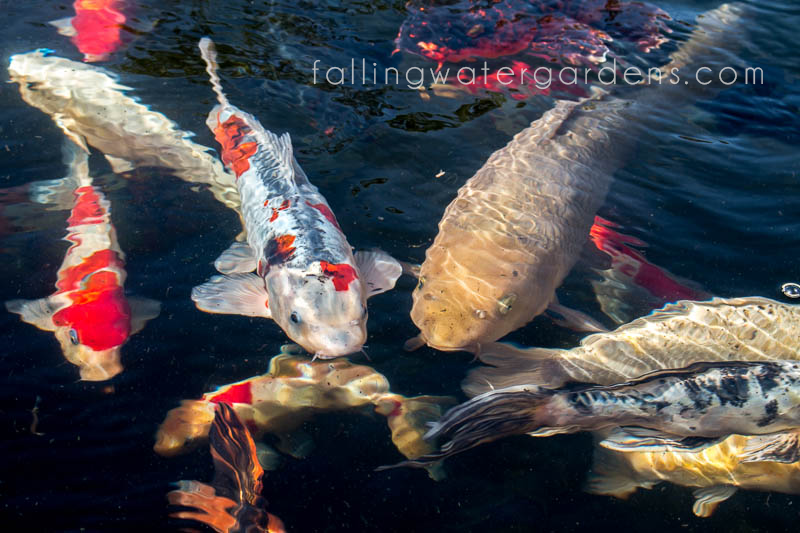 Falling Water Designs is a full-service landscape design and build company, located in the greater Seattle area, specializing in the design and installation of ponds and water features. Falling Water Designs also has years of experience building patios, fire pits, fences, setting up irrigation, repairing ponds and sprinkler systems, and so much more! Visit our Services page to learn more about the services we offer. Serving Seattle, Edmonds, Bellevue, Redmond, Woodinville, Kirkland, Mercer Island, Mill Creek, Bothell, Issaquah, Sammamish, Monroe, Carnation, Duvall, Snohomish, Kenmore, and surrounding areas. Water can be soothing, exhilarating, relaxing, and rejuvenating. It encourages us to recharge and relax. The shimmering movement and sparkle of koi fish and beautiful water lily blooms add to the serene setting. Falling Water Designs’ goal is to provide you balance in your life through beauty in your garden. Inquire with us to fulfill your outdoor living space hopes and dreams! Looking for Falling Water Gardens? Click here. Water temperature in Monroe, WA is 60 degrees. Last updated on 4/25/19.